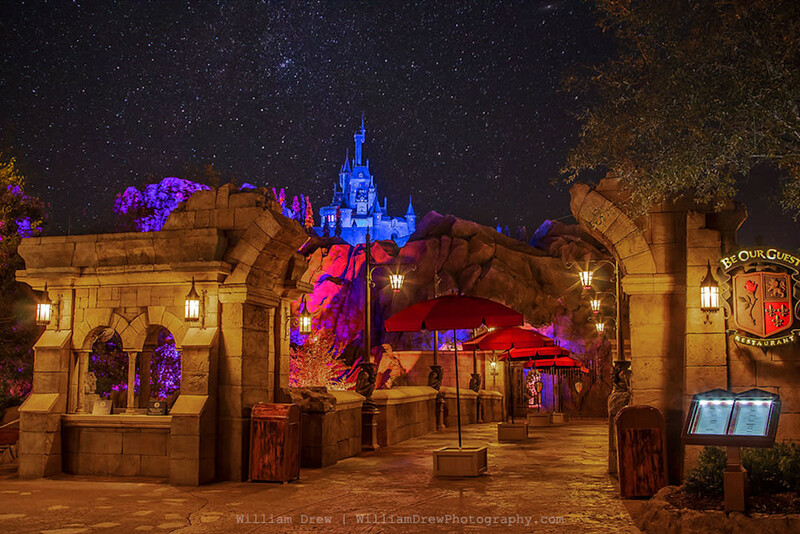 The magic and the romance of Beast's Castle sitting up above the entrance to the Be Our Guest restaurant can't be beat, especially at night. This Disney Wall Mural comes in three different sizes, and custom sizes are available as well by contacting me. Sizes and descriptions will be listed below. All of my Disney murals are made for smooth and slightly textured surfaces. They are an easy to install peel and stick woven fabric, and they are removable and repositionable. They are also manufactured in the USA. More information is listed on my main Disney Castle Wall Murals page. This Disney mural is the perfect wall decor.